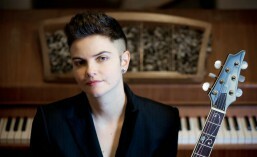 FAYE PATTON | Nu Jazz singer-songwriter/pianist and guitarist. As featured in Diva magazine, Gaydar Girls, Planet London, Rock 'n' Reel magazine and London Jazz News. Tues April 9th Toulouse Lautrec. 7.30-10.30pm. Free Entry. Wed April 24th Toulouse Lautrec. 7.30-10.30pm. Free Entry. Thurs May 16th Toulouse Lautrec. 7.30-10.30pm. Free Entry. Thurs May 30th Toulouse Lautrec. 7.30-10.30pm. Free Entry. Thurs June 13th Toulouse Lautrec. 7.30-10.30pm. Free Entry. Thurs June 27th Toulouse Lautrec. 7.30-10.30pm. Free Entry. Sun April 28th Green Note 8pm £12/10. CLICK HERE TO BOOK. 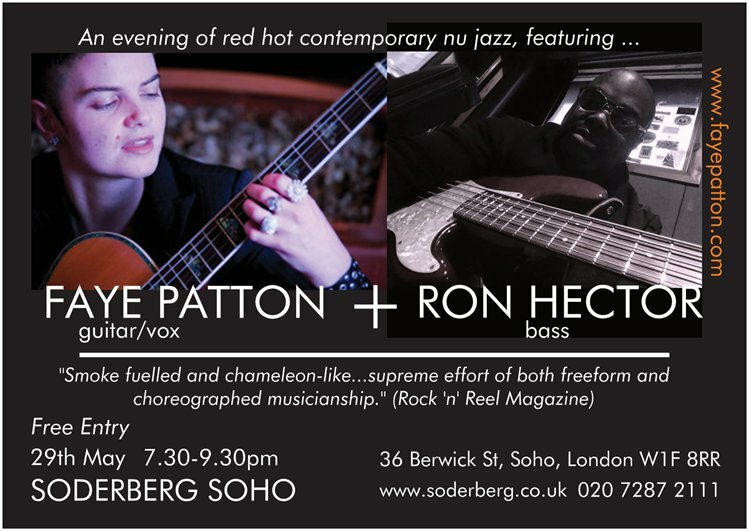 Wed 29th May Soderberg Soho 7.30pm-9.30pm. Free Entry. Click HERE to book a table. Sat Sept 28th Toulouse Lautrec. 9.30pm £15/10. Booking Info to follow. NEWS! **… I am featured in this forthcoming book by specialist German jazz publishers, Buddys Knife. ”Renate Da Rin and William Parker have invited 48 creative women sound artists to share their experiences in the process of creating music and living as an artist. These women come from North and South America, Europe, Africa and Asia.”giving birth to sound” is about Her-story as told by some of the most brilliant and creative women musicians in the world. Individual thinkers and movers who have been brave enough to devote their lives to the making of music the way they hear it. They were not afraid to sing and speak in the name of sound, showing us that they are a family of unique individuals, separate but united. With a foreword by Amina Claudine Myers.